Did anyone out there seriously doubt that the takeover of the disputed regions of South Ossetia and Abkhazia would be the outcome of Russia’s little invasion into Georgia? Tarzan Kokoity, the province’s Deputy Speaker of parliament, announced that South Ossetia would be absorbed into Russia soon so that its people could live in “one united Russian state” with their ethnic kin in North Ossetia. Shocker. I’m guessing Vlad Putin’s just as surprised as the next fellow. Not. Vladimir Putin is a bad boy and, like all bad boys, has a propensity for telling lies whenever he thinks he can get away with it. Today Vlad says that, in spite of the fact that it’s Russian troops in Georgia, the U.S. is behind the fighting in that country and that “American citizens” – dare we say spies? – were there too. In an exclusive interview with CNN’s Matthew Chance in the Black Sea city of Sochi on Thursday, Putin said the U.S. had encouraged Georgia to attack the autonomous region of South Ossetia. What a shock this must be to President Bush. Not only is Vlad a bully with no soul, he’s also looked into W’s eyes and divined his plan to start a civil war within the borders of one of our better allies in the region. This is most likely a classic case of the aggressor blaming the victims in order to justify his actions. After all, you don’t think that Russia had anything to do with the troubles in the Georgian provinces, do you? Surely they weren’t sending men into Georgia to incite rebellion. Must have happened all by itself. Right. Personally I think that if the people of a region large enough to sustain itself as a national entity want to break away from the mother country that they ought to be allowed to go their own way. Witness the Kurds in Iraq and Turkey, as well as the Basques in Spain. Why should an unwanted government be forced down people’s throats simply to preserve artificial national borders? Power and economics are the reasons, of course. But the latter is more of a perceived issue than a real one. Corporate entities break up and re-align on a regular basis in order to arrive at a more efficient set of operations. Why can’t governments simply allow people to determine their own destinies? I’m sure that’s a laughable view to a man like Vlad Putin, a dictator with a penchant for having his way and a big dream of re-uniting the Soviet Union. He’d like nothing better than for bits of that failed nation to break away and make themselves easy pickings, just as in Georgia. All Vlad needs is someone to blame for his actions. Doesn’t have to be true, obviously. So there I was on vacation when Russia – ne the Neo-Soviet Union – decided to use the distraction of the Olympics to disguise their attempt to start WW III. The disguise failed, needless to say, but Vlad the Bad’s calculation that the U.S. would do nothing, indeed can do nothing, seems to have been well-founded. Red isn’t what it used to be; the Russian bear is back, this time in black, like Mr. Putin’s heart. As a follow-up to my last post questioning the purpose of Islamic society given its propensity to destroy other, better nations and religions, consider the same query as relates to Russia. Yes, Georgia stupidly gave Putin an excuse to invade the “rebellious” territories by killing civilians there. But the invasion is less about the innocent lives lost in the region than it is about Russia’s wounded pride. Seeing an opportunity to kill multiple birds with a single stone, Putin acted. Now a relatively democratic government teeters on the brink of collapse, an important oil pipeline to the west is threatened, and Russia’s military reputation is on the rise. All in a day’s work for the 21st century’s slickest agent provocateur, Vladimir Putin. All of which is to say, after the spin and lies are stripped away, that Russia is behaving like a spoiled child who, unable to admit that its perception of reality was amiss and accept its failures for what they were, instead chooses to rebel against the civilized world by spreading dangerous weapons and failed political ideologies into the hands and minds of the worst people on Earth. Vlad’s polished exterior may have lulled a gullible Mr. Bush into believing his lies. Shame on anyone who falls for the man’s assurances again – the Russian bear is back on the prowl. The bear is hungry, make no mistake, and destruction will follow wherever he roams. Lately some on the left have been working hard at revising downward Ronald Reagan’s legacy of ending the Cold War and creating the opportunity, since lost, for the first period of extended peace since WW II. The Soviet Union, Kathy says, was never a threat at all. In fact, the U.S. was the antagonist all the while. Ronald Reagan did not “win” the Cold War. If any one person can be credited with bringing the Cold War to an end, that person was Mikhail Gorbachev. During the lead-in to Myth Busters, my kids’ favorite TV show, Adam Savage jokes that he rejects our reality and substitutes his own. This would be a nice bit of juxtaposition, were it possible for mere mortals. Yet it’s both possible and fashionable, in certain circles, to reject the reality of the past and substitute one’s own neo-liberal anti-Americanism in its place. The entire Cold War was premised on two false beliefs: one, that the Soviet Union had a military arsenal equal or superior to our own, so that we always had to “catch up”; and two, that the Soviet government had global expansionist ambitions, and was willing to launch a first strike on the United States to achieve those ambitions. In fact, the Soviets were convinced that the U.S. government was planning to launch a first strike on them. Referring to my admittedly shaky memory of history lessons long since learned, it seems to me that the Soviet Union overran, occupied, and ruled all of Eastern Europe for 4 decades after WW II. The Soviets also agitated for and funded communist takeovers around the world, notably in Southeast Asia, the site of two wars against communist expansion. The Soviets also helped fund and supply the Chinese communists in their fight against that country’s Nationalist government and worked closely with Mao for number of years after his victory. It’s possible that the Soviet Union believed that the United States might preemptively strike out with it’s nuclear arsenal. Possible, barely, but not rational. Then again, Stalin, a man directly responsible for the murder and torture of hundreds of thousands of his own people, was hardly sane. His megalomaniacal paranoia probably fueled the Cold War more than any other single factor. The Soviet Union was formed in his image, according to his 5-year-plans, to be a democracy killing machine. Even so it’s quite likely that most Soviet leaders understood that their country was in no danger of being attacked by the United States. This had to become painfully obvious during the Vietnam era in which the U.S. was unable to pacify a tiny, poverty-stricken nation despite massive troop and equipment expenditures. Invading the Soviet Union was impossible, nuclear war unthinkable save in response. And the Soviets surely knew that. Claiming otherwise is an attempt to subvert reality. …the Soviet Union had thousands of nuclear weapons, and Iran doesn’t have a single one. But when the world was on the brink of nuclear holocaust, Kennedy talked to Khrushchev and he got those missiles out of Cuba. Why shouldn’t we have the same courage and the confidence to talk to our enemies? The Soviet Union was a grave threat to the freedom of this nation as well as many others. Those countries like Great Britain often had an even greater understanding and fear of the Soviets’ intentions. Reagan’s push to break the Soviets’ economy was the right approach at the right time, as the results demonstrate. Revisionist history should not try to alter that fact. Neither should the lesson be lost on the left, as unpleasant as it may be to accept. When dealing with enemies whose ideology demands the conquest of free people it is vitally important that we understand that they cannot be reasoned with on our terms. Individual rights, economic opportunity, and social freedom mean nothing to Islamic terrorists, just as they meant nothing to the Soviet leadership who had already acquired those things for themselves. From what position are we then to negotiate with the likes of Iran? The only chip in our hands is to absent ourselves from their region of the world, something that would be a disaster for Israel and the world energy market. Very few Americans are interested in pursuing war for war’s sake, whether conservative or liberal. If an opportunity exists to establish a kind of peace with Iran we should investigate it. But if the cost of such an agreement is the surrender of Israel, the one fully functioning nation in the Middle East, to the mullahs in Tehran then it’s an unacceptable trade. Every U.S. president from Truman to Bush 43, with the possible exception of Jimmy Carter, understood that America’s military strength helped to keep the peace more than it encouraged war. Fantasies about disarming so that terrorists and the nations, like Iran, that sponsor them will feel secure enough to lay down their arms are just that – fantasies. And if that face doesn’t inspire trust I don’t know whose possibly could! “If the White House officials allow us to be present as an observer in their presidential election we will see whether people in their country are going to vote for them again or not,” he said. The US constitution prevents Bush from seeking a third consecutive term, while no member of his administration is expected to be in the running in next November’s poll. 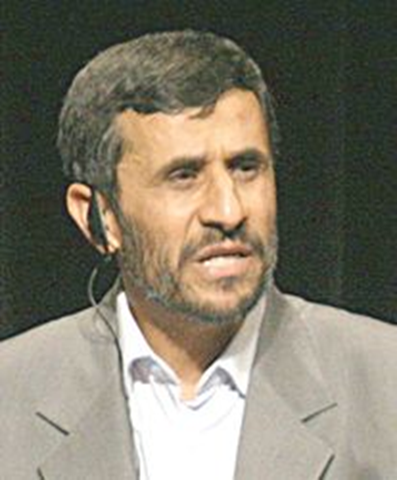 Bush and international human rights groups voiced doubts about the legitimacy of Iran’s 2005 presidential election, which brought Ahmadinejad to power. More than 1,000 potential candidates were disqualified by the guardian council, a powerful body of clerics and judges. Just what’s needed here in the land of the free. But perhaps Mahmoud would like to visit central Texas for the election. I’m certain that the good Christian folks ’round these parts would fall all over themselves in their haste to adopt the Iranians’ nasty little brand of Islamic totalitarianism. Heck, they’d probably donate big Texas oil dollars to the perpetually under-funded cause of world-wide terrorism just for a chance to catch a glimpse of the heroic Ahmadinejad in action as he strikes Hillary Clinton’s name from the ballot and administers lashes to any little old ladies foolish enough to vote for a Bush Republican. Yep, Mahmoud , y’all come down here, ya hear? Interestingly, the name of Ahmadinejad’s pal and nuclear weapons’ sponsor Vlad “the Bad” Putin was also in the news today because the Russian government elected – irony, get it? – to squash what little bit of freedom of speech and thought still existed in the former-and-perhaps-soon-to-be-again Soviet Union (only without the “union” part) by arresting former world chess champion Garry Kasparov and giving him a short jail sentence for leading an anti-Putin protest in Moscow. Yeah, Vlad, you tough guy you! Throw one of the good old U.S.S.R.’s brightest minds in the klink – that’ll inspire your countrymen! Read Bryan’s take at Hot Air. Is the timing of these two events a coincidence? I think not, although I do have the strangest feeling that a bucket of ice cold water is about to be tipped over on my head. Reuters reports that U.S. officials intend to move ahead with plans to locate a missile defense system in central Europe despite pointed protests made by Vladimir Putin of Russia. "We are continuing negotiations with those countries (Poland and the Czech Republic)," Daniel Fried, U.S. Assistant Secretary of State, told a news conference in Baku. "We hope to succeed, and if we succeed, we will proceed with the development of a radar system for the Czech Republic and missiles for Poland," he added. The plan for a radar in the Czech Republic and interceptor missiles in Poland to avert potential missile strikes from Iran has angered Russia, which says the defense shield would threaten its security. I don’t imagine that any kind of U.S. military activity in countries once occupied by Russian forces would please the territorial Putin. But using the sort of parody of truthfulness in diplomacy that Russian leaders have mostly foregone since the collapse of their communist empire, Putin has been comparing the American defensive system still in the planning phase to the clandestine placement of missiles capable of carrying an offensive, nuclear placement in Cuba. Apples and oranges, as anyone can see. Russia has been aggressive on the international stage of late and it seems like Putin is spoiling for a fight over just about anything. The missile defense issue represents, then, a rather more clever than usual bit of foreign relations by the Bush administration. [U.S. Assistant Secretary of State Daniel] Fried said the United States wanted to cooperate with Russia, but reiterated the Qabala radar could only be an addition rather than a replacement for installations in Poland and the Czech Republic — an idea Russia rejects. However, he made clear Iran, suspected by the West of seeking to build a nuclear bomb and of working on long-range missiles to deliver it, could change Washington’s plans. "I believe Secretary of Defence (Robert) Gates said we would activate the (missile) system based on the development of the Iranian threat," Fried said. "So we are not on autopilot." So the Russians cozy up to the Iranians during their defiance of the U.N. and the U.S. in regard to their progressing nuclear program and are slapped on the hand by the U.S. in the form of a missile defense system on their doorstep. Good. It may not be an outright win but it is a smart response by the Bush administration. Perhaps I shouldn’t call them new – Vlad Putin’s had a plan in mind for quite a while, I now understand – but his real objectives are new to me. It’s a bit embarrassing, really, to have missed the obvious. Putin’s policies (and tantrums) have never been about Iraq, although that little debacle has certainly helped Putin more than it hurt him – a lot more. And it’s not about the proposed European missile defense system, which Putin denounced in what could only be called an aggressively belligerent reaction. Publically, Shell, BP, Exxon and smaller companies talk nice about their cooperation with the Putin administration, even while they continue to lose control of legally licensed and paid for major holdings inside Russia. Privately, they all concede that they have no option but to give in to Putin’s various demands as he continues to create a massive energy monopoly under the Gazprom brand name. On the global stage, the European Union, and soon Asia, understand that upsetting Putin can impact the quality of living… everything from the availability of gas to the ability to heat your home. It must be difficult for Putin to run the entire country while keeping one hand on the oil and gas spigot. His administration has bullied the oil majors into making a variety of concessions and will continue to do so as he pushes for energy dominance. Frankly, who’s going to stop him? No one. 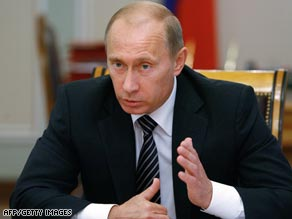 Vlad’s objective is now clear: the re-creation of Russia as a world power using oil as a tool. Putin has systematically eliminated the rudimentary democracy Yeltsin had built. One television channel after another was taken over by the state under various pretexts, as were major newspapers. Opposition candidates and parties were denied registration for the slightest formal complaint. Falsification of elections became the rule. Many prominent Russians favored the Pinochet model of authoritarian politics and liberal economics. But growing authoritarianism also hit business. In October 2003, Putin cracked down on Mikhail Khodorkovsky, the CEO and main owner of Yukos oil, Russia’s most valuable company, who was thrown into prison on dubious charges of tax fraud after backing Putin’s political opponents. Moreover, Putin’s associates wanted Yukos’ wealth, which was confiscated by the state oil company Rosneft through lawless taxation, leaving Putin’s tax reform and judicial reform in tatters and severely undermining property rights. 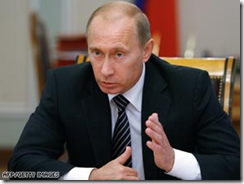 In fact, since 2003, Putin’s main economic policy has been re-nationalization. Well-run private companies have been more or less forced to sell out to state-dominated companies. Gazprom is buying up oil (Sibneft), gas and power companies at knockdown prices, reinforcing its monopoly. That, in turn, allows Gazprom to boost its profitability through price increases, despite stagnant production. Indeed, with state companies now producing one-third of Russia’s oil, output growth has plummeted, as owners of private enterprises — the source of dynamism in the sector — are now afraid to invest in new capacity. Among foreign investors, both Shell and TNK-BP are being pushed out by Gazprom in their main gas fields in Russia. This are not the actions of a nation or a leader who cares about either world opinion, democratic principles, or business ethics. We may talk tough, but the U.S. is certainly not going to do anything about Putin’s ambitions any time soon. Like it or not, Vlad’s the least evil oil baron on the international stage today and he’s immune to America’s blustering. For the sake of our national dignity I hope we don’t bother trying to pressure the Russians. It simply would not work. How true. This isn’t a revelation – lots of people know this. Mostly the wrong ones, it seems. W looked into Vlad Putin’s soul and found a good person there but seems to be an error in judgment. Vlad’s apparently becoming a dictator of the worst sort, the kind who uses his position to eliminate rivals and, if perturbed, kills his opposition. Remember the years after the wall fell, when democracy swept through Russia like a wildfire? Russians had come crazy candidates to choose from and they didn’t always choose wisely. Where are Putin’s challengers now? At the time there was some talk about political and economic motivations for the arrest and trial, but most of us were too busy fighting off the mini-depression of the .com bust and the fear of terrorism to worry much about Russian graft. Maybe we should have, given the unique ability of Putin and his rejects from the KGB to sabotage our foreign policy agendas, something they’re doing rather gleefully at the moment, it seems. 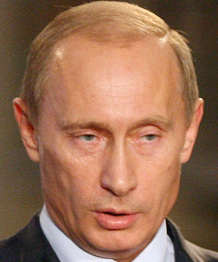 Vlad’s interests also directed at consolidating power and eliminating dissent at home. One wonders if he can be defeated in the next election – if there’s anyone who’s significant enough and brave enough to oppose him – and, if he happened to lose, if he would turn over power. During the run-up to the mid-term elections, certain liberal buffoons here at home suggested that Bush wouldn’t step down at the end of his term – a rather transparent scare tactic. The possibility is much more real in Russia, given their history. The battle of ideas there isn’t just in terms of political power, it’s also in the form of free expression and who is allowed to have it. According to CBS News, 43 Russian journalists have been killed in the last 13 years, many while investigating corruption and war crimes stories. Most recently, Anna Politkovskaya, a Russian journalist, author, and searing critic of the Kremlin and its policies in Chechnya, was executed in Moscow. Mikhail Gorbachev said, “It is a blow to the entire democratic, independent press. It is a grave crime against the country, against all of us.” Gorby, who’s 10 times the man Putin dreams of being, must hate what Putin’s doing to the country his unique courage created out of the stagnant cesspool that was the Soviet Union. So far there are only rumours and allegations that Politkovskaya was killed by the Russian government, no proof. Supposedly she was about to file article for the Monday paper about torturers in the government of Ramzan A. Kadyrov, the pro-Kremlin premier of Chechnya. If so, where is the story? Where is the evidence? Perhaps it was coincidence. But then occurred the strange case of Alexander Litvinenko, an ex-KGB agent who was poisoned with a radioactive isotope, polonium-210, after beginning to investigate Politkovskaya’s murder and who accused the Russian government of killing him in his last moments. Again there is no proof of any wrongdoing by Russian officials. Is there fire beneath the smoke? Clearly there is a trend in Russia toward the repression of individual rights and the rights of the press and public to express opposition to Putin’s regime. Vlad, after all, would like to take Russia back to the glory days of Soviet Socialism when everything was under control and working like clockwork. Perhaps this is why he’s so eager to slip into bed with Iran – Vlad and the mullahs understand each other, even if their beliefs are diametrically opposed. One form of police state is much the same as another, whether one is on the top of the heap or the bottom. Does it matter whether your torturer is a communist dupe or an Islamic zealot? Not to me. It’s all about ideas, really, and the ways we’d like to alter them. W understands this, too, which is how we ended up in Iraq. He wanted to give the Middle East an injection of democracy as a booster shot to generate some new ways of thinking in those countries, hence the war. What he didn’t consider was that the introduction of foreign ideas into their intolerant cultures would provoke an allergic reaction. Why? I think it’s because Islamic fundamentalists understand that their traditional ideas are neither compatible with and or sufficiently correct to compete with the ideas of freedom of expression, individual rights, and an educated citizenry. This is why Islamic terrorists are killing teachers in Afghanistan and in Iraq, because they are threatened by education and its disturbing tendency to produce young people who want to think for themselves rather than follow rote lines scratched in the sand by previous generations. It is all about the ideas. America must make sure that ours are reaching the ears, eyes, and minds of everyone who has an opportunity to receive them. The Bible says that we should hold God’s word in our hearts so that we may not sin against Him. It’s more than that, though. It’s there for times of trouble and times when we don’t dare let the words cross our lips – as in Vlad’s perfect version of the Soviet Union, circa 1953. Democracy is much the same. It’s a dream for people trapped in these countries, a germ of a seed that’s hidden in a secret place in their minds. We need to make sure we plant those seeds and water them as best we can, whenever and wherever we can. I was recently reminded that I should be striving to be an intercessor rather than being an accuser. I’ve recently commented in a couple of discussions about Islam and wondered afterward if I was doing the right thing by saying what I thought was the truth. After all, the vast majority of Muslims are good people. Must the entire family be tainted by the scarlet brush because of the deeds of a murderous step-brother? Not, I think, if the y acknowledge the killer’s evil-doings for what they are and denounce them. Not once and for all, but each and every time. It is, after all, their religion that the terrorists are using as both shield from and justification for their brutality. Islam must be reclaimed by those who it belongs to if the name of their religion is to signify peace again. Of course, the corollary to this is that the U.S. must do the same. That’s going to be a tough idea for W to swallow. He may not do it. But the next president will. She’ll have to. According to Haaretz, Russia is selling shoulder-pack missiles to Syria, weapons that Israel thinks may end up in Lebanon in the hands to Hezbollah terrorists. While Putin emphasized that the missile Russia is selling to Syria is vehicle launched and hardly a threat to Israeli planes, Israel is particularly worried by shoulder-launched versions of the missile, which could end up in the hands of Hezbollah along the Lebanese-Israeli border and limit Israeli air force overflights into Lebanon. Perhaps now that Vlad Putid and the Russians have had a taste of terrorist medicine they will take a more reasonable stance on Iraq. Putin needs a friend after his raid on terrorist hosting theater-goers hostage ended in the deaths of well over 100 of the hostages. Read the story on Yahoo news. It’s regrettable that the situation ended in confusion and finger-pointing among the rescuers who, for the daring and bravery of the rescue attempt, will no doubt end up on the political skewer for trying to do the right thing. At least our President Bush properly points the finger at the terrorists as the cause of the civilian deaths.